Beatrice Paolozzi Strozzi - 2012 Nelli Awardee. Beatrice Paolozzi Strozzi served for many years as Director of Florence's Bargello Museum. She was honored with AWA's Nelli Award in 2012. 2012 Nelli Awardee. 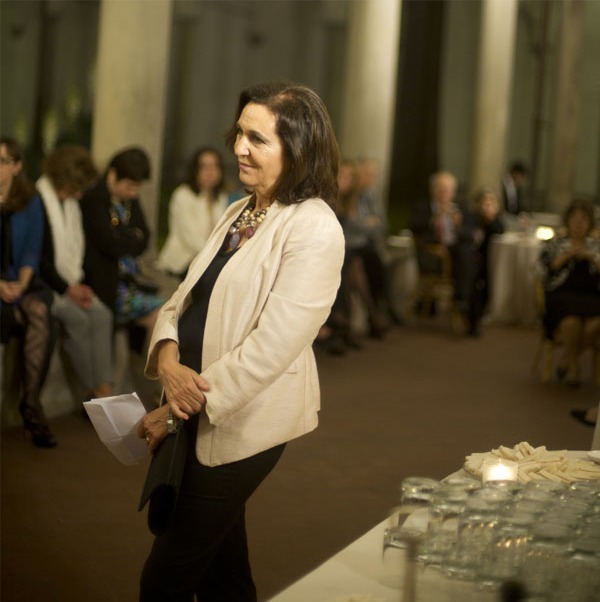 Director of the Bargello National Museum since 2001, Beatrice Paolozzi Strozzi, specializes in art of the Renaissance and the nineteenth century. In 1994, she discovered a wooden Crucifix by Verrocchio that is now exhibited in the Bargello’s Verocchio Room. She opened two exhibition rooms on the museum’s ground floor that hosted internationally inspired temporary exhibitions such as Donatello’s David Restored¸ Living Marble: Gian Lorenzo Bernini and the Birth of Baroque Portraiture and Desiderio da Settignano: the Discovery of Grace in Renaissance Sculpture. These exhibitions were done in collaboration with the Louvre and the National Gallery in Washington DC. Dr. Paolozzi Strozzi has received numerous awards including the University of Florence’s Salomone d’Oro and 'Firenze Donna' in 2007. Since 2007, she has been a member of the Executive Committee at Villa I Tatti, the Harvard University program for Italian Renaissance Studies.